Know where leopards are prevalent & be patient. Leopard occur in a wide variety of habitats, such as desert environments, dense forest, remote mountains and savanna woodland. Preferred habitats are riverine habitats or mountains. Tip: Southern Kruger is a good place to start looking. 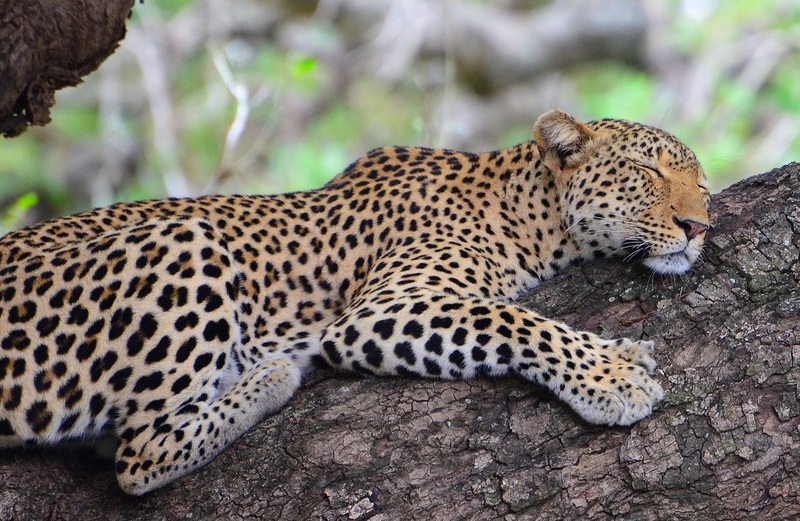 Two types of sounds reveal the presence of a leopard: the calls of the leopard itself and prey animals’ alarm calls, e.g. birds’ high-pitched chirping, impala snorts, baboon barks, monkey grunts, banded mongoose chuckles, tree squirrel chirrups, and the barks of bushbuck, kudu and nyala. The most common leopard call is a repeated grunting, much like a saw cutting through wood. While the female grunts to attract a mate when she is in oestrus, both sexes grunt to proclaim territory. Tip: Follow up on the call. It is usually repeated every few minutes over a period of anything up to a few hours. In areas where leopards are accustomed to human and vehicle activity, a good tracker will greatly improve your chances of seeing them. Tracking must be done with an armed guide. Tip: The tracking skills of the local Shangaan in Kruger are legendary and will take you to places you wouldn’t have found driving along the roads. 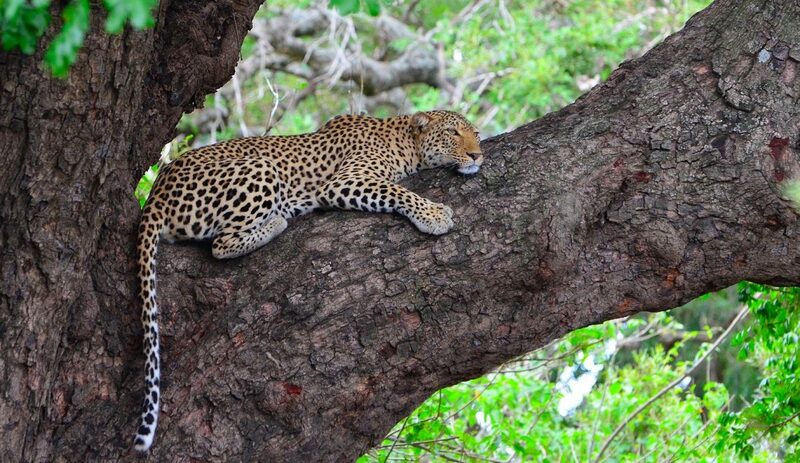 Leopards are predominantly nocturnal. Use spotlights from a safari vehicle. Tip: Find them when they are ending or beginning their nocturnal wanderings, early morning or late afternoon. Swot up on leopard behaviour. Both males and females are generally loners. Mating Usually carried out in dense bush, it is seldom witnessed. When the cubs are four months old and weaned the mother will be away for days at a time, hunting, hiding the kill and returning to her cubs. When the cubs are about a year old, Mom comes into oestrus again and starts snarling at them. One day she doesn’t return and the cubs are left to fend for themselves. Eventually they separate from one another and move on. Tip: If you are lucky enough to find a lair, the mother will be regularly within close proximity. Hunting leopards hunt alone, occasionally with cubs. They walk though the bush, stopping regularly to look and listen for signs of potential prey, often scanning the landscape from a tree or a termite mound. 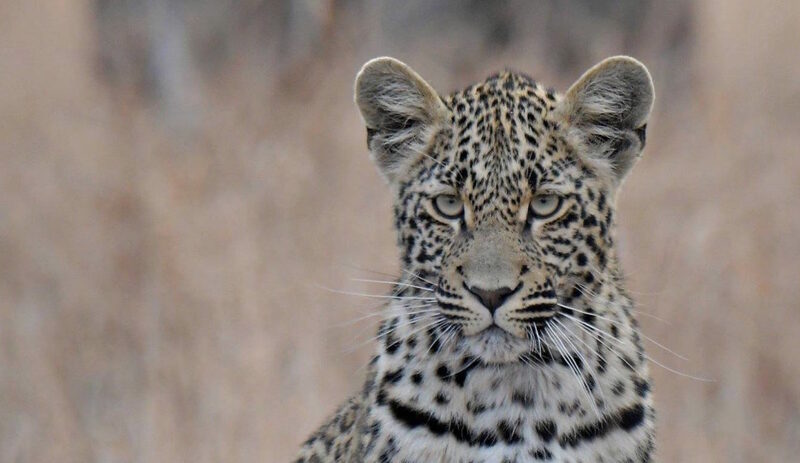 The leopard only charges once it is 100 per cent certain of making a catch. 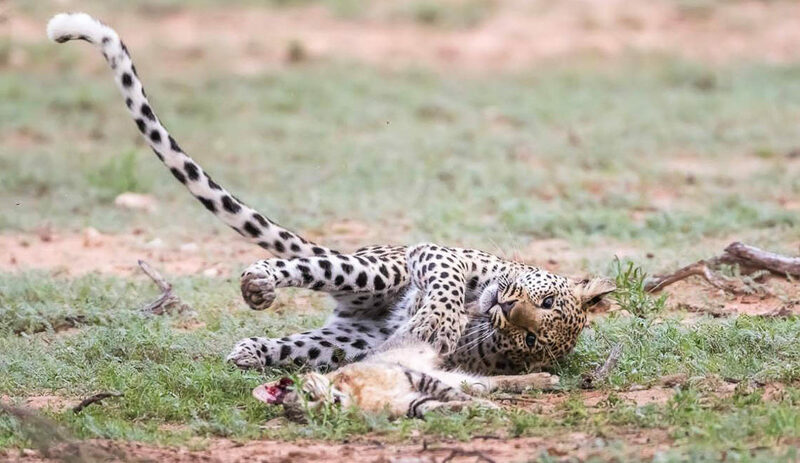 In clashes with other predators, leopard usually withdraw from conflict, especially with lions and hyaenas, although not with cheetah, who sometimes lose their kills to leopard. Shy leopard in open country require 500mm, 600mm or 800mm telephoto lenses. For more relaxed leopard use 300mm, 80-200mm or wide-angle lenses. Track leopard early morning or late afternoon, with the bonus of kind light. 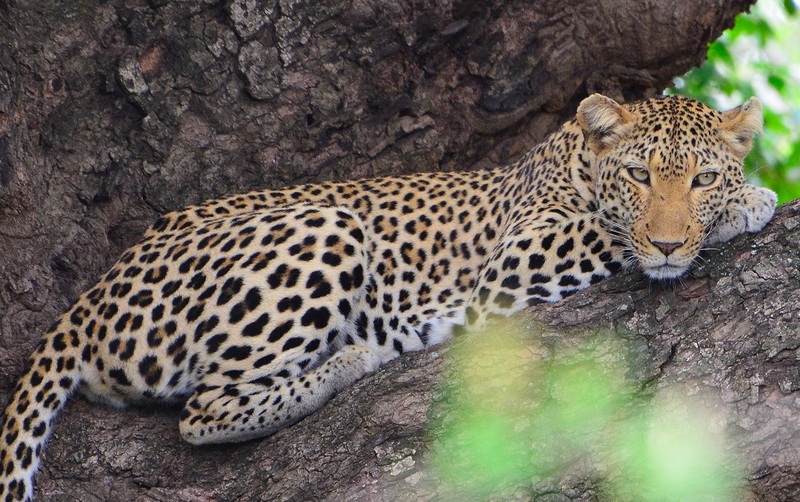 Leopard are often in shade in low light conditions. Use a slow shutter speed and keep your camera steady on a bean bag or tripod. For action shots, you need luck and understanding of what the leopard is going to do next. Learn about the animal. Status: IUCN Classification: Category 5. Red Data Book: Rare. CITES Appendix 1. 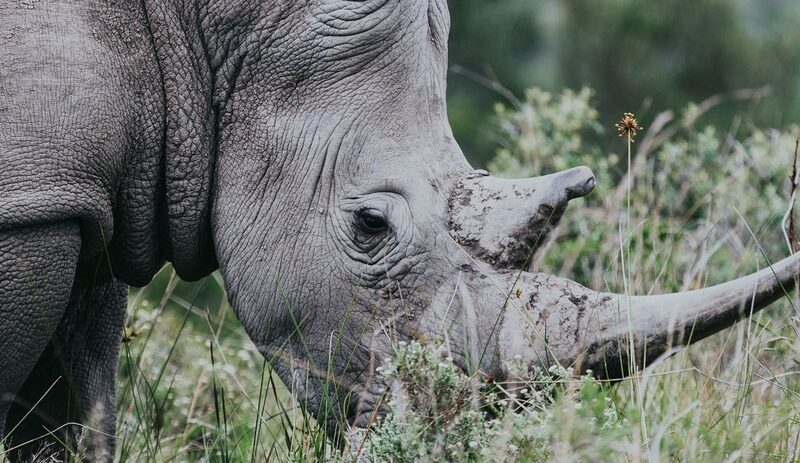 Habitat: Mountains, rocks, bushveld, woodlands, desert, semi-desert, forest; from sea level to 2,000m; anywhere between 100mm and 1,200mm rain annually. Sight & hearing: The range of a leopard’s hearing is reputed to be twice that of a human’s and, in dim light, its sight six times better. Diet: From birds such as francolin and guinea fowl to adult male waterbuck or female kudu. Most common: medium-sized antelope e.g. impala, followed by warthog and duiker. Not dependent on water, but drink when available. Breeding: Non-seasonal breeders. Female attracts mate by calling and scent-marking against tree-trunks and bushes. Mating, in dense bush, lasts 2 or 3 days, accompanied by loud growls and snarling. The male does not rear cubs. Gestation approx. 100 days; usual litter 2 or 3 cubs, although litters of 6 are possible. Each cub weighs about 500g. Eyes open after about 6 days. They become sexually mature at two and a half years. Lifespan approximately 12 years. Territory: Males defend large territories which encompass those of 2 or 3 females. Males defend territories against other males, females against other females. Females establish territories alongside their mother’s; males are ousted by territorial males to establish their own territories far from their place of birth. Tracks: Male footprints larger, broader than female. Five digits on front feet, four on hind. Strong protractile claws approx. 30mm across the curve. Dew claw used for holding prey. • Amur leopard (P. p. orientalis): A few individuals in eastern Siberia and an unknown number if Korea and north-eastern China. • Barbary leopard (P. p. panthera): Approx. 100 possible in the Atlas mountains. • Sinai leopard (P. p. jarvis): Sinai peninsula and Israel. • South Arabian leopard (P. p. nimr): Mountainous regions along coasts of Saudi Arabian Red Sea, South Yemen and Oman. • Zanzibar leopard (P. p. adersi): Probably extinct. * Black panthers are melanistic forms of ordinary spotted leopards, resulting from recessive genes in leopard populations. • CITES Appendix 1 – quotas of legitimate sporting trophies and skins may be exported.